How Long Can You Keep a Hamster in a Ball? Watching your hamster as he or she scurries around the room in their specially-designated hamster ball is a blast. But how long can they stay in that little ball for? When does playtime become excessive and the hamster needs to return to their cage? Don’t keep your hamster in the ball for more than 20 minutes at a time. Though some hamsters may enjoy their ball, it is best to limit the amount of time that they spend in it. Just like us, our furry companions can become fatigued from over-exertion. There are numerous concerns that new hamster owners have about hamster balls, which we will address below. Please, for the benefit of your little furry buddy, keep on reading and use hamster balls wisely. Why Should Time in the Hamster Ball Be Kept Short? A prolonged period of physical exertion with no food or water can really tire out a little critter. Hamsters can get to the point of dehydration if left in the confines of a ball for too long. Aside from dehydration and fatigue, there are other valid reasons to keep your hamster’s time in their ball limited. They could become hungry in this time or even dirty up their hamster ball with droppings or urine if left confined in the ball for too long. If your hamster seems especially spirited and enthusiastic about their time in their hamster ball, that’s great! They may be able to remain in their ball for an additional ten or fifteen minutes, especially if your hamster is exceptionally active. However, never let even the most active of hamsters stay in their ball for any longer than 45 minutes or so. They need food, drink and rest, too! Some hamster advocates think that you should never place a hamster inside a hamster ball. They feel that the ball puts a barrier between the hamster and its surroundings. The little inquisitive animals may be able to roll around to various corners of a room but they’re prevented from sniffing, touching and generally interacting with the new area. That goes against their natural instincts and could cause frustration and stress. The jury is out on hamster balls. While some think they’re a terrible idea, other owners say that their hamsters love them. Use your own judgment and most importantly, pay close attention to your hamster to see if he or she enjoys the ball experience. And in case you decide to give the ball a roll… Check out these safety tips. 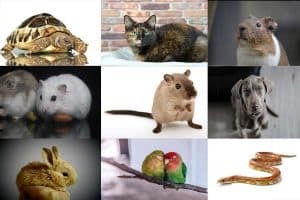 Some hamster owners think that they can just let their hamster roam throughout their house or apartment without any kind of supervision or special care being taken. The hamster ball is considered a “safe spot” for the hamster to exist in, but there are risks associated with the unwise use of this toy. Consider these pointers when introducing your hamster to their new hamster ball. Always supervise a hamster in a ball. Never let her or him out of your sight. The ball offers only minimal protection and you must be there to get your hammy out of trouble at any time. Block off any areas that can cause them injury – especially stairs. A tumble down the stairs, even in the confines of the ball, can result in traumatic injuries. Use a piece of tape to keep the lid of the ball on firmly. Hamsters are very good at getting out of spaces, including hamster balls with the lid fastened on as designed. If they are able to escape from their ball, they could end up anywhere! If the hamster doesn’t seem interested in going into the ball, do not force it. This can stress out your pet. Make sure to get the right size ball for your hamster. Syrian hamsters, the largest of the household hamster breeds, require a much bigger ball than dwarf hamsters. Dwarf hamsters are too small and not strong enough to maneuver a ball designed for a larger hamster. The hamster ball should be large enough that the hamster is not forced to curve their body to use it. Keep the hamster ball clean by washing it with warm water and plain soap between each use. Make sure that the toy is dry before it is used again. 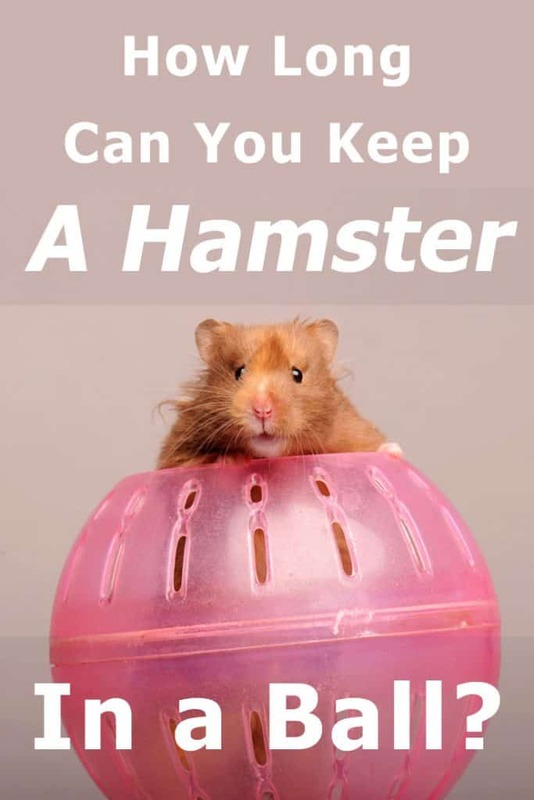 Avoid letting your hamster use their ball in areas where they can become stuck, such as in locations of your home where hardwood meets carpeting. Always keep their time in the hamster ball limited so that they can get food and water. Never put more than one hamster in a ball at a time. If you have more than one hamster and want to get them both exercise with their separate hamster balls, make sure that their mutual playtime is supervised. Hamster balls can knock into each other, causing injury or prompting the lid to come undone. Keep children and other pets away from the area where the hamster is exercising. Young humans and larger animals may try to kick, throw or otherwise play with the hamster ball. This could cause your hamster stress or injury. This might seem like a lot to keep in mind but remember that hamsters are delicate creatures. Their safety is important and can be ensured with the advice outlined above. 20 minutes, even once a day, doesn’t seem like very much. If your hamster is especially active or you’re trying to help them shed some excess chubbiness, you may feel compelled to introduce other methods of exercise that they can do on their own. 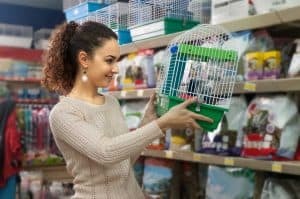 A cage doesn’t provide a whole lot of opportunity for exercise, but there are things that you can do – aside from using a hamster ball – to get your fluffy companion active. Consider purchasing these toys for your hamster. Their cage should have adequate space to accommodate at least one of these additions. Hamster wheels are considered an essential addition to any hamster cage. You can purchase ones that mount directly to the side of the cage, thus minimizing the space that it takes up and providing a secure foundation for its use. A hamster wheel is a great way for your pet to get exercise without leaving their cage. And they can use it at their leisure! This staves off boredom and extra pounds, thus helping to keep your hamster happy and healthy. As burrowing creatures, hamsters love tunnels. PVC pipes and specialized hamster tunnels can be purchased to fashion a network of tunnels to your specifications. You can create a system of tunnels that fits perfectly within the cage or even one that connects the hamster’s primary cage to a secondary one. This option is popular for hamster owners who want to give their hamsters as much space as possible while encouraging physical activity. These can be purchased at most pet supply stores. They give your hamster the opportunity to roll, run and play around in a fairly open space while remaining protected and enclosed. Many hamsters prefer playpens of this nature to hamster balls, as their mobility isn’t limited, and they feel more freedom than they do when surrounded by a large, plastic ball. When using a playpen for your hamster’s recreational time, it is best to do so when you can give them your uninterrupted supervision. Hamsters are sneaky little creatures and may try to escape, even when under your watchful eye. Are There Wrong Ways to Exercise a Hamster? The worst thing that you can do is to allow your hamster to freely roam your home without so much as a hamster ball. 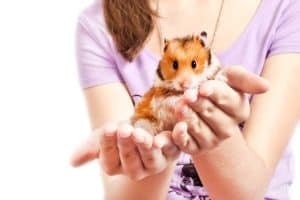 Some well-intentioned hamster owners think that this will make their pet happier and provide them with a feeling of freedom. While this may be true, it also poses a serious risk of harm to an animal of a hamster’s size. Hamsters are known for getting into everything that they can, when they are afforded the opportunity. They may get into one of your home’s many nooks and crannies and become stuck or lost. They could chew on cords and carpeting, be stepped on by children or larger pets or even find their way outside if an exterior door is opened at any time. Even if you are providing direct supervision of this kind of playtime, it is still an awful idea. Hamsters move more quickly than humans do, and they can be quite unpredictable. To avoid this myriad of risks, simply never let your hamster have playtime out in the open without any type of confinement. The good news is that you can confine them to an entire room – as long as you closely supervise them there. Read more in our guide: How to hamster-proof a room in 10 easy steps. How Can I Tell When My Hamster Isn’t Getting Enough Exercise? As it goes with nearly every living creature, hamsters need to get their daily exercise. This prevents destructive boredom behaviors, keeps them healthy and helps to keep their weight at an appropriate number. Most hamsters will get as much physical activity as they want when they have access to the toys to do so, even in their cages. But sometimes, it can be easy to become worried that your hamster isn’t being as active as they should be. Obvious weight gain is one symptom of too much inactivity. Listlessness and agitation are two behaviors often seen in bored and under-stimulated hamsters. If your hamster is experiencing these things, it may be time to change up the way that you have their playtime items arranged in their cage. You may also need to consider choosing a different type of exercise. If the hamster ball doesn’t seem to enthuse them, consider a hamster playpen instead. If they aren’t using their hamster wheel, consider that it may be too small for them to use comfortably – or too big for a dwarf hamster to use. Can a Hamster Exercise Too Much? Many hamster owners have become concerned with how much their pets like to exercise. Sometimes, a hamster never seems to want to get off of its wheel! While hamsters can exercise quite a bit without any safety concerns, excessive exercise can lead to sores and blisters on their paws. This is especially common in hamsters that are only given a hamster wheel to use. If your hamster doesn’t get enough time outside of its cage (under supervision, of course) they could become a bit stir-crazy and grow “addicted” to their hamster wheel. Get them out of their cage often with a hamster ball or hamster playpen to ensure that they are properly stimulated while remaining safe. Hamsters eat a lot of foods that boost their energy naturally. If this is the case for your hamster’s diet, they may take to exercising more in order to burn off the extra energy. Lack of toys. If your hamster has no other toys, tunnels or objects to play within their cage, they will become dependent on their wheel as their only source of physical activity. Hamster balls provide energetic hamsters with the opportunity to run around and explore their home. However, the 20-30 minutes recommended for daily hamster ball use is simply not enough to properly expel their extra energy and ensure their health. Hamsters need ample opportunity to get exercise on their own time, while inside their cage. When afforded the opportunity to exercise as needed, hamsters will live their longest and healthiest lives.